I have been blogging since before it was called blogging and using social media to interact with my audience since the pre-millenial days of Web 1.0. 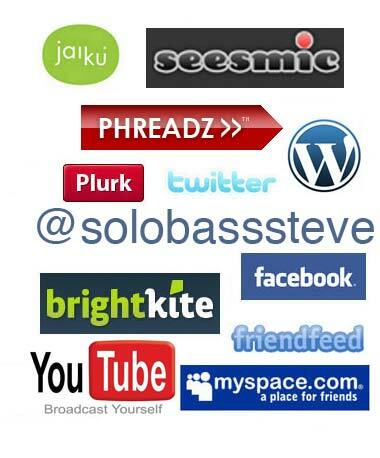 As a result, I’ve found myself, over the years, in a good place to help others connect the worlds of music and social media. I lecture regularly in universities and music colleges – helping students understand the transformative potential for their music-life that the web offers. I’ve spoken at a few UnConvention events, and also work on social media-led projects outside of the music world with Amplified and Tuttle. So, it seems I’m pretty good at helping people connect the world of recorded/performed music with the conversations and communities that form around music culture. It’s been an interesting path to explore for me, drawing on over a decade of online experience running my own career and record label and using that to help others develop a greater degree of web-literacy. If you want help, or want me to speak at your event, drop me a line. Most of my ideas are available here for free, so if you want to read more of my thoughts on music and social media, check the blog posts here and those on MusicThinkTank.com, particularly this one about Transformative Vs Incremental Change. Steve Lawson from Andrew Dubber on Vimeo. Great interview. I found it really inspiring. You seemd to convey much of what I have been thinking for the last few months, but am still trying to figure out how to get all the pieces to fit together.